I ask you: Is this the most disturbingly wacko drawing ever done of a major American animation character? Posted by HarryPosted on October 22, 2007 3 Comments on Knock Knock! 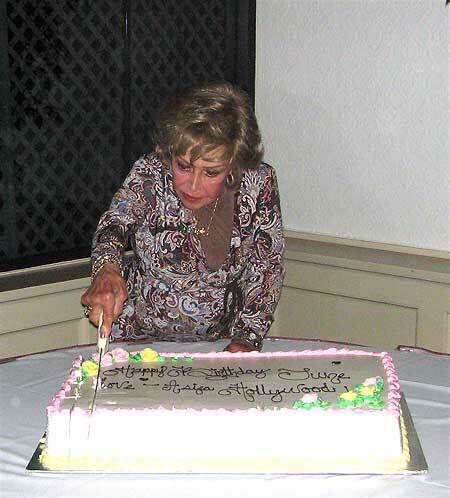 As I mentioned recently, I happened to be in LA on Friday for work–and that night happened to be the one on which ASIFA-Hollywood through a birthday bash for June Foray at Pickwick Gardens in Burbank. I attended, of course (as did people such as Jerry Beck, Ray Pointer, Earl Kress, Mark Evanier, Floyd Norman, Mark Evanier, Tom Kenny, organizer Steve Worth, and many others) and had a thoroughly enjoyable time. This is the only current product I’ve seen with retro Schulz drawings–but I suspect it’s part of an attempt to bring very early Peanuts back into fashion on new merchandise. That makes sense from a business standpoint–presumably, Disney has made hundreds of millions from items using the 1930s version of Mickey Mouse over the past forty years or so. I wouldn’t be startled if the success of the Fantagraphics Complete Peanuts has inspired this revival, and I kind of like it. But am I wrong in remembering that Charles Schulz wasn’t crazy about his early work–and in fact didn’t even like using that much of it in books about the history of the strip? 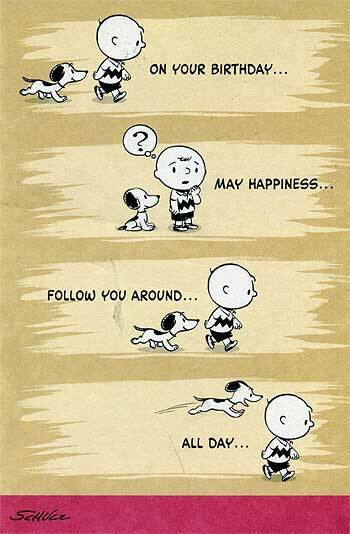 And if so, how would he feel about 1950 Charlie Brown bumping late-model Charlie Brown off a Hallmark card? I live across the street from an Office Depot, which is awfully handy when you discover that you’re out of printer paper or need a new office chair. So I’m there a lot. Am I the only animation fan who thinks of Natasha, Rocky, Nell, and Granny when I glance at the dozens of Office Depot products which carry the chain’s private-label brand? 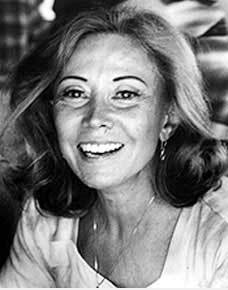 Good news: On the evening of October 19th, ASIFA-Hollywood is throwing a birthday party for June Foray in LA. Better news: As it happens, I’ll be in town on business (covering the E For All Expo, produced by a sister company of PC World) on that day. Now I know what I’ll be doing that night.